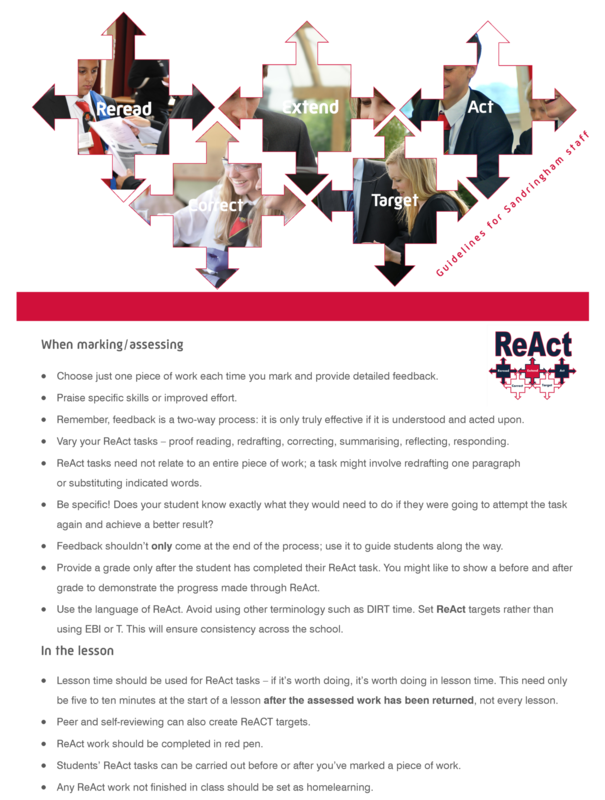 Encouraging our learners to Reflect and ReAct to feed back provided is a key aspect of assessment for learning at Sandringham. 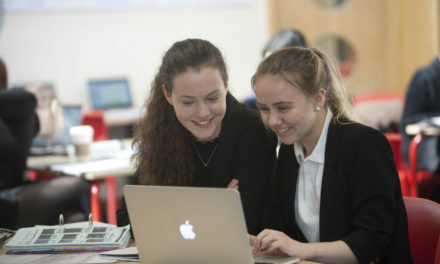 Students are encouraged to ReAct to feedback provided or review targets set. 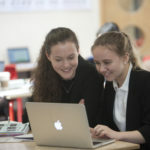 We believe that if it is worth doing it is worth doing during lesson time so our guidance to staff is to identify key opportunities during lesson time to encourage students to complete ReAct tasks in order to ensure it is part of their regular practice. The process of checking and reviewing targets and feedback set should be an intrinsic part of their approach to taking ownership of their learning.